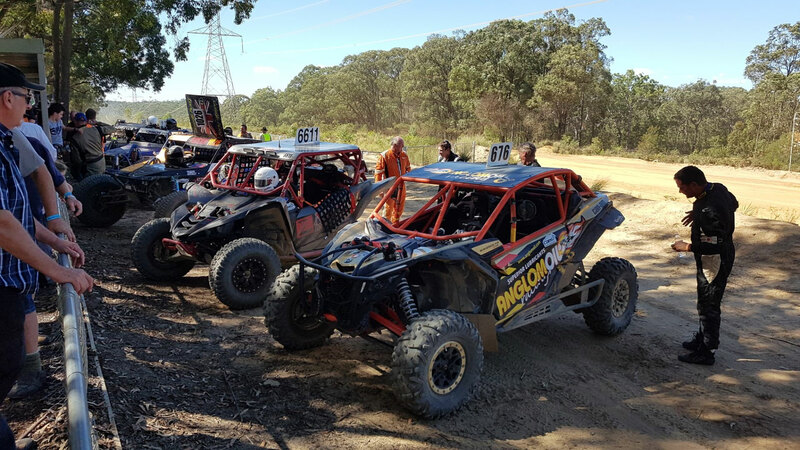 Mother Nature smiled on the opening round of the Hunter Rivmasta Racing Products supported CAMS New South Wales Off Road Championship, with rain early in the week leading up to the event and then more on Friday, ensured a dust free event. Nathan Chivers and Scott O’Connor in the #676 SXS Turbo won the weekends racing convincingly with a 7 plus minute gap to the Prolite buggy of Tony Abson #1026. Third outright and first in his class was the SXS Sport of Kevin Cant #6611 only 9 seconds off Abson’s pace to round out the Colo Park Challenge podium. The diminutive Prolite buggy of Brant Knight #1078 was the only car to be near the times of the #676 Chivers machine with both Chivers and Knight 2 minutes clear of the rest of the field for the first two races. Unfortunately, Sunday bought Brant's run to an end with axle problems. Fourth, fifth and sixth outright places went to the Super 1650 class buggies of Austin Atkinson #272, Warren Barron #258 and Thomas Berry #246. This was Berry’s debut race and to come home with a third in class was a great achievement. Another first time driver, Greg Marsh with his wife Kelly navigating took home the first placed trophy for Production 4WD class. Luke Kenyon #494 finished first in the Extreme 2WD class while Ian Cotton #805 brought his Nissan home first in Extreme 4WD. Greg and Sarah Barron #312 collected the silverware for Sportsman class. The Pro buggy of Derek Rose #62 started the first race on Sunday but only completed one lap before pitting with engine problems; Nicky and Simon Lennox #267 found some errant timber (a tree) that put them out of the running on the second last lap of the day. Lucky Mattuissi in the #831 Extreme 4WD Scout was not so lucky and unable get his machine back into the fray on Sunday. Next Sydney Off Road Racing Association race meeting at the COLO MOTORSPORT PARK will be the Day/ Night Off Road race on the 15th & 16th June 2019.